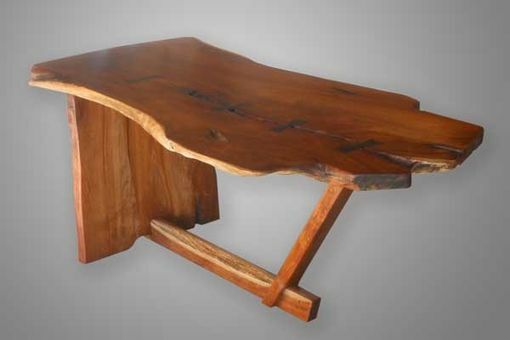 George Nakashima's iconic Minguren Desk makes a unique design statement. The perfect fusion of design and function, it blends seamlessly with so many different interiors. 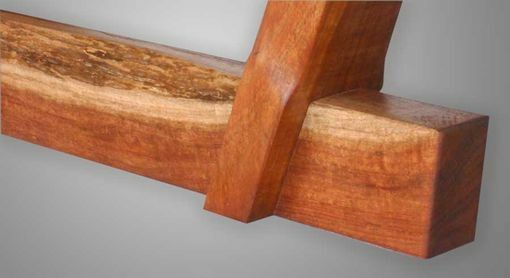 Our interpretation of the Minguren Desk is true to Nakashima's design aesthetics and reputation for superb craftsmanship. Available in a variety of domestic and imported exotic hardwoods. As shown in figured Tasmanian Black Acacia (closely related to Hawaiian Koa). Butterfly "dutchmen" inlays of Zircote provide visual interest as well as structural integrity. Pricing subject to wood species, quantity and special design requirements. Dimensions: As shown, 36"W x 72"L x 31"H. Custom dimensions available. Dimensions vary based on client requirements and available natural edge slabs and other materials.